Eligibility: Completion of 10 + 2 years with Physics, Chemistry & Biology / HSC / CBSE / Intermediate / PDE and must have obtained minimum aggregate marks 45% for SC/ ST 5% Relaxation. The candidate shall complete the age of 17 years on or before 31st December of the year of admission. B.Sc. 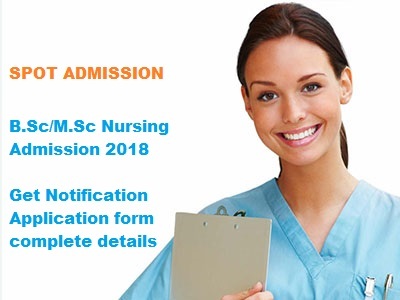 Nursing is a professional course in the field of Medical Science that requires analytical skills, critical situation management with standards. If you are a student willing to serve patient’s ailments and provide them a good nursing care, then B.Sc. Nursing is the right choice to be made. Nursing makes you an eligible person by choice and not by chance. Nursing has an upward and eminent scope for a career in the recent years of Medicine. With the increasing chances of sickness and ailments all around the world, nursing welcomes a number of graduates every year to serve the necessity. One of the highly known advantages of becoming a nurse is the good pay. As the healthcare industry focus on more advancement, the nursing program increases good job opportunity in either government or private sector as a nurse. BSc in Nursing prepares you for nursing or caring job profiles.